Since I got my new laptop I've had GeForce experience installed already and it was working fine. I had shadowplay and everything set up perfectly. 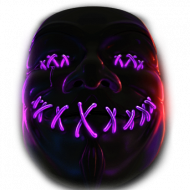 Then when I got division 2 and it was giving me memory leaks, @Voodoo & I tried to update my drivers on there which fixed the issues I had with the game but I noticed that my shadowplay and screen cap settings had all gone, so I tried to set them up again to which I kept getting an error code. 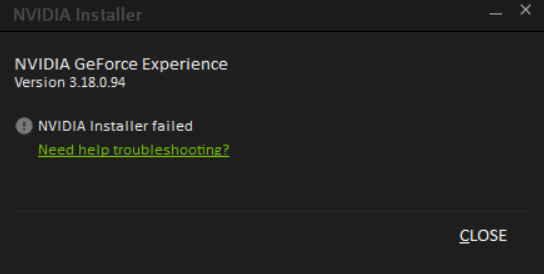 I ended up uninstalling GeForce experience and tried reinstalling it again only to be running into the following issue every time I try to install it. All the videos I came across about this issue on youtube or elsewhere just seem to deal with driver installation failures and not GeForce per-se so I couldn't really get much help from that. I also tried every single solution listed on this website without any luck either. Just wanted to see if anyone else here has some ideas. I obviously tried the standard solutions like turning pc on and off, running as administrator, checking firewall and some other basic stuff. Nothing seems to be able to fix this problem. Did you try running the installer again and see if it gave you an option to "repair" ?